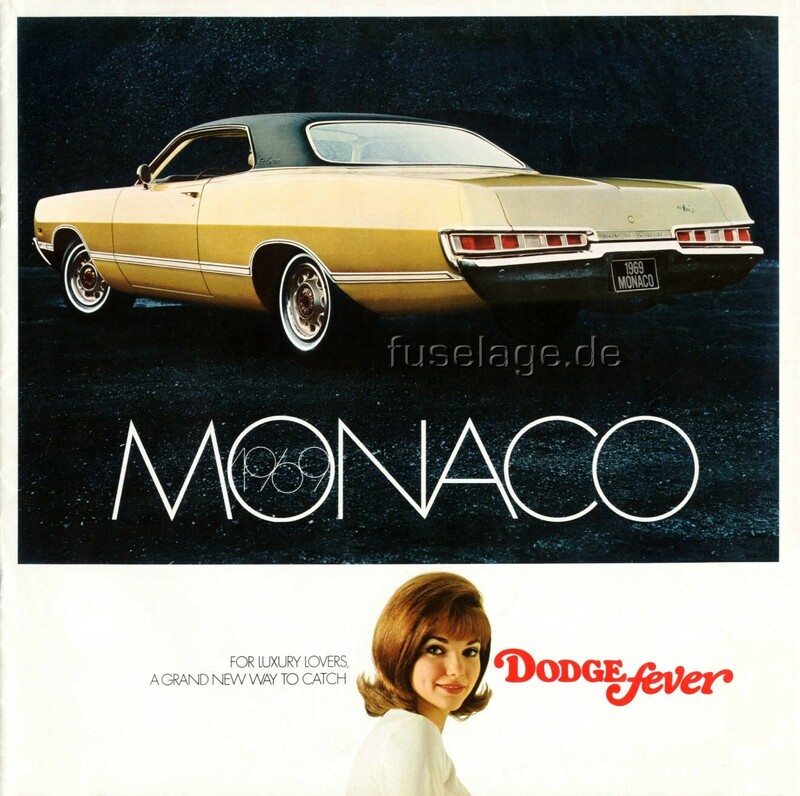 Do you want to see a larger version of the Polara or Monaco brochure cover? 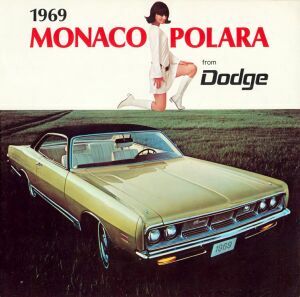 The Dodge Polaras and Monacos models received a totally new skin for 1969. The concave shapes of the side sheetmetal was gone and the car was longer and wider than in the previous year. 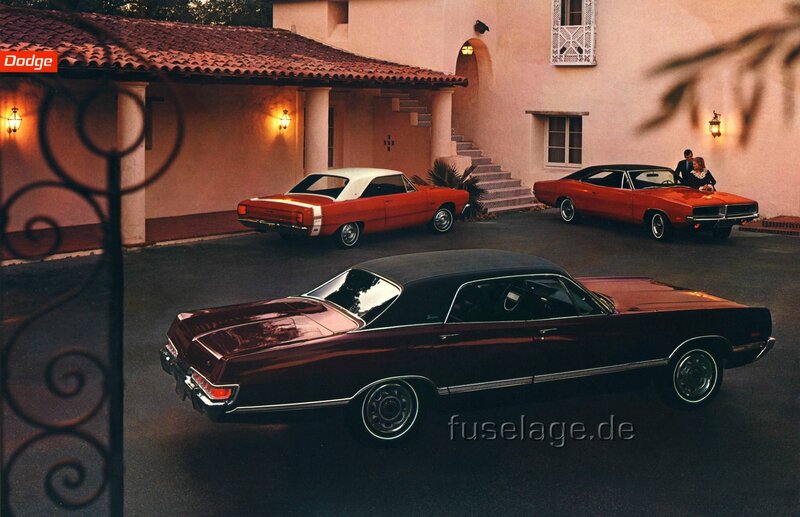 It was truly an all-new automobile, as were all Chrysler Corp. full-size models for 1969. 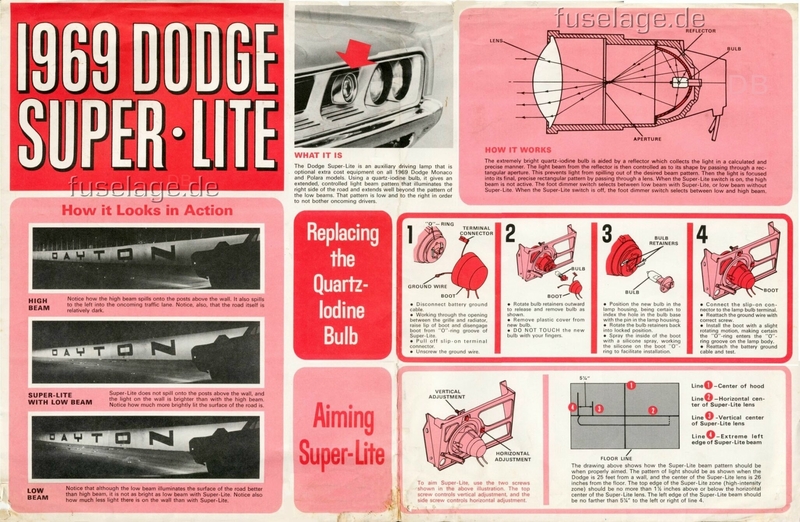 The trapezoid tail lights were a typical Dodge trademark and had been used in different sizes and designs in the past. The lineup was carried over from the years before. The Polara was the entry level model, with the somewhat more luxurious Polara 500 being available as a two-door hardtop and convertible and adding a sporty trim. 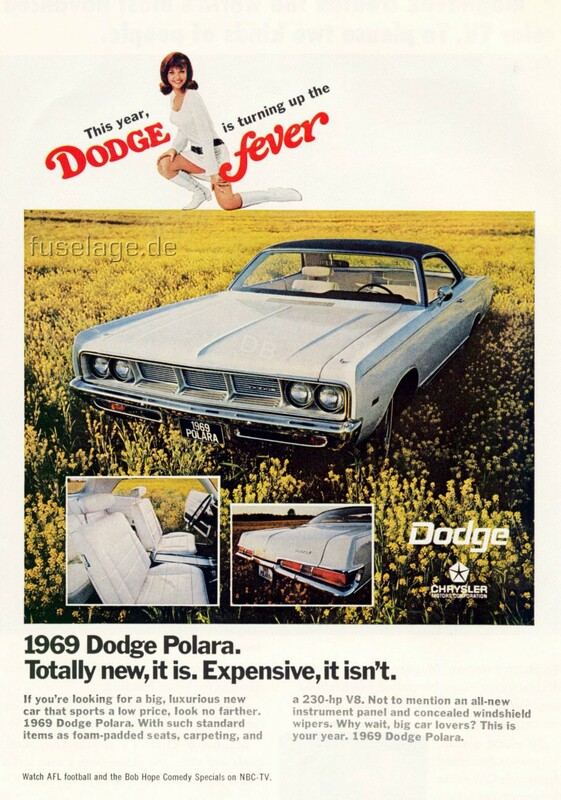 Polara standard engine was the 318-V8 which still delivered 230 hp that year. Above the Polara ranged the Monaco. The differences were most visible in the interior but only experienced car spotters could tell the difference from distance. A dress-up plate between the tail lights and deluxe side trim were clues. 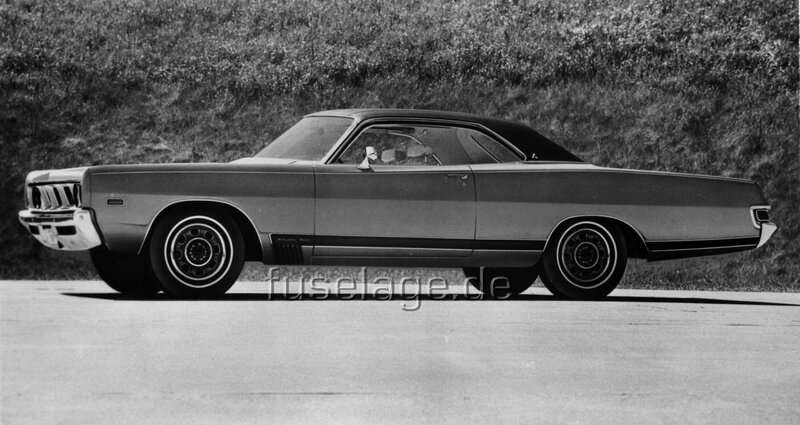 The Monace came standard with a 383-V8 2-bbl engine which delivered 270 hp. 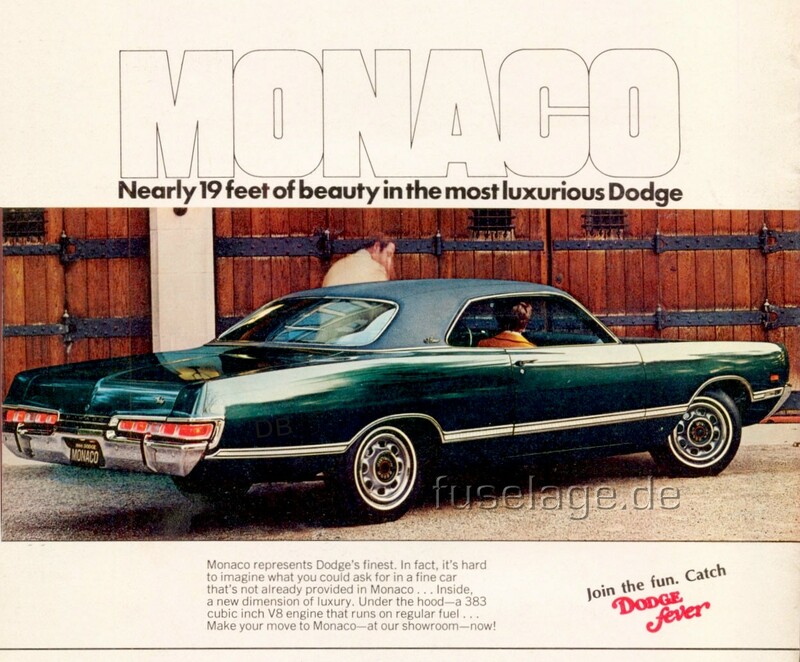 There was also a Monaco Brougham package which included a split-bench front seat and vinyl roof. The 500 package was available for the Monaco two-door hardtop, too. 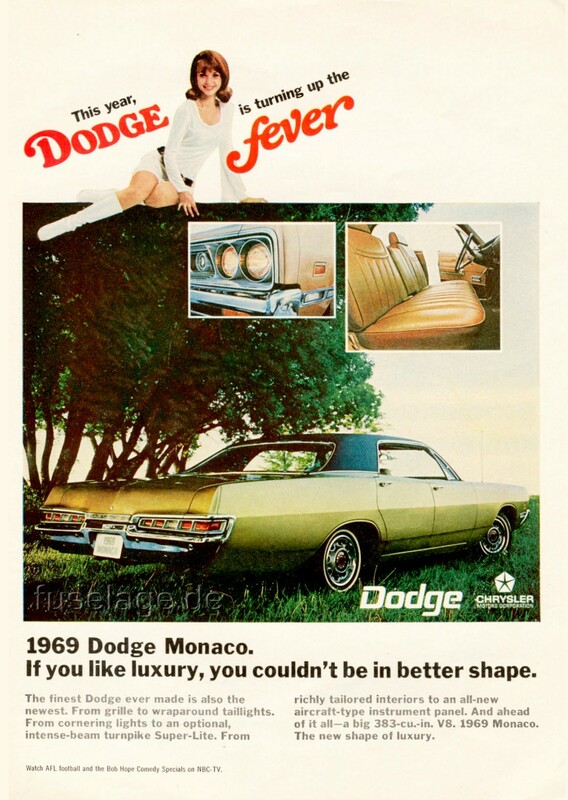 In Canada there was also a Monaco 500 convertible offered. Big news this year was the optional Super Lite (see further below), a single additional high beam with a very bright light which was supposed not to blind oncoming traffic. The rather high production figures justified the issuing of two separate sales brochures, one for the Polara and one for the Monaco. 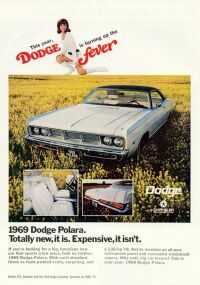 Plus a 1969 Dodge station wagon brochure, of which the Polara and Monaco pages can be found further below. There is also a Canadian brochure showing somwhat different pictures and Monaco 500 models not available in the US. Alltogether 117,152 Polaras and Monacos were built during the 1969 model year. 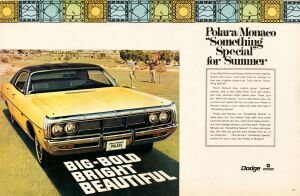 Optional engines were available for both the Polara and the Monaco, including the 440 "Magnum" high-performance engine delivering 370 hp. 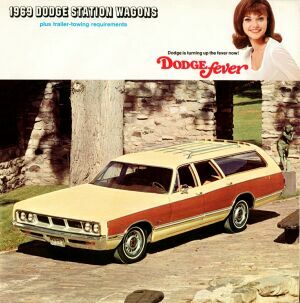 Station wagon buyers could chose between the Polara station wagon and the Monaco station wagon, both found in the station wagon catalog. 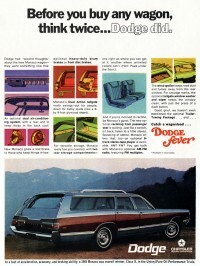 There was a separate Dodge station wagon catalog in 1969. Click to see the Polara/Monaco section of it. 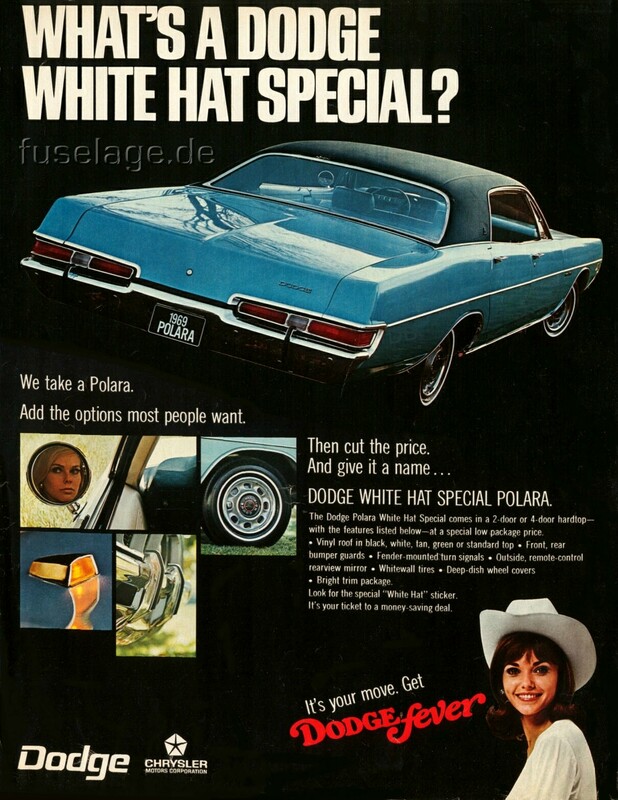 There was a separate Canadian 1969 Dodge Polara/Monaco brochure - both series in one. 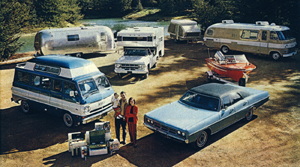 The Moanco 500 convertible as well as the Polara 500 sedan and Polara 500 station wagon were unique to the Canadian market. 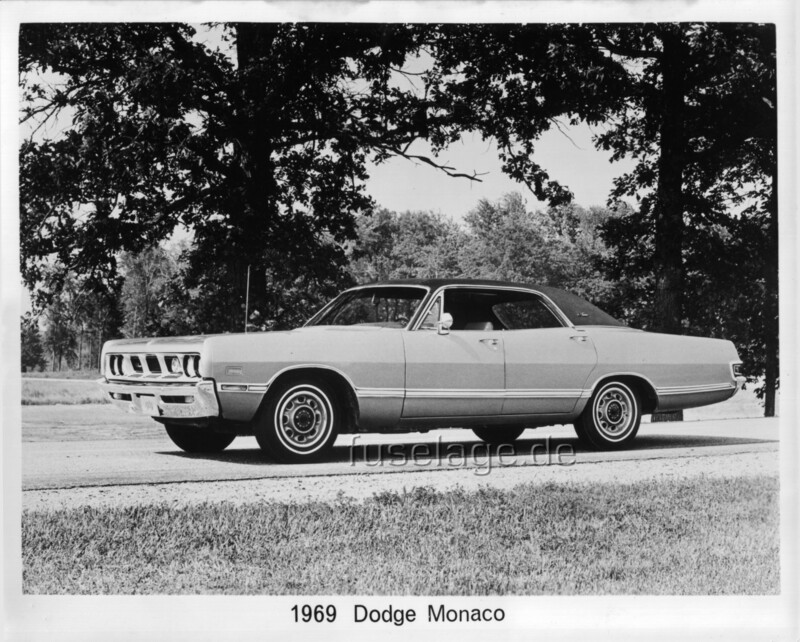 This image shows a 1969 Dodge Monaco four-door hardtop and is from the corporation's annual financial report. 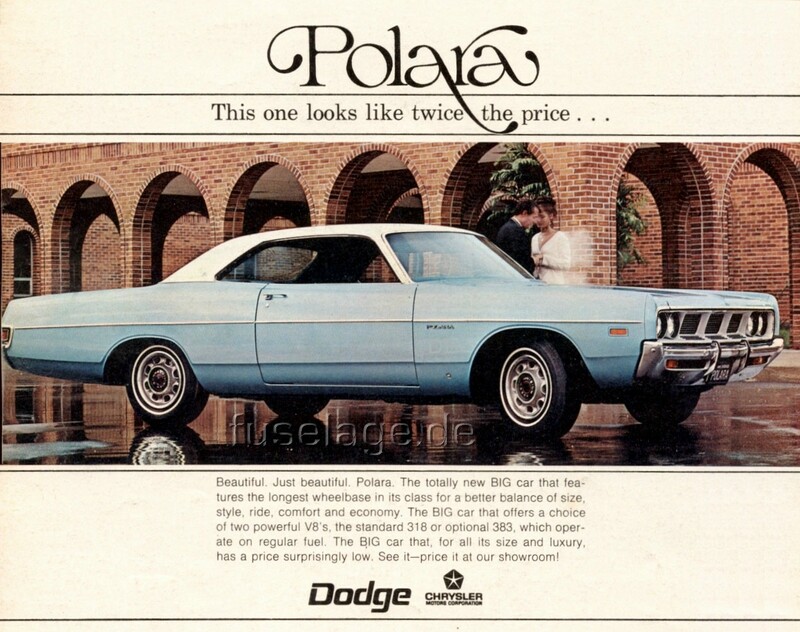 This color photo of a 1969 Dodge Polara two-door hardtop was also used in the sales folder. 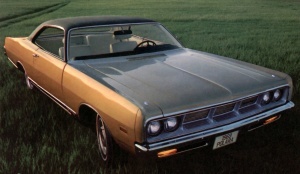 A color photo of a 1969 Dodge Polara 500 two-door hardtop. 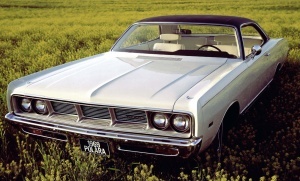 A front shot of the same 1969 Dodge Polara 500 two-door hardtop as in the picture above. 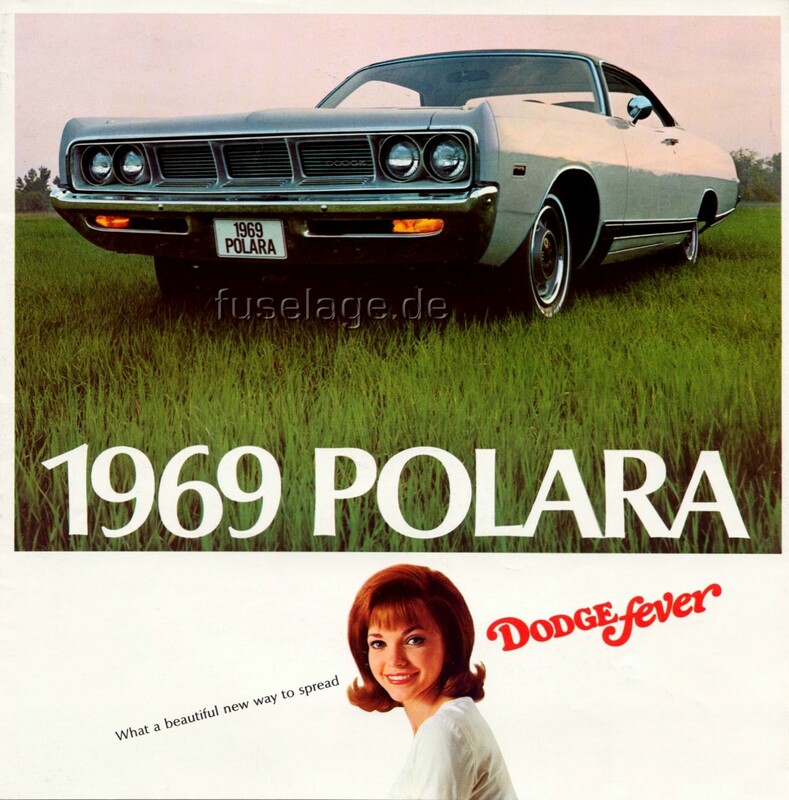 This is a magazine ad promoting the 1969 Dodge Polara. This page is taken from a special advertising section in a magazine. 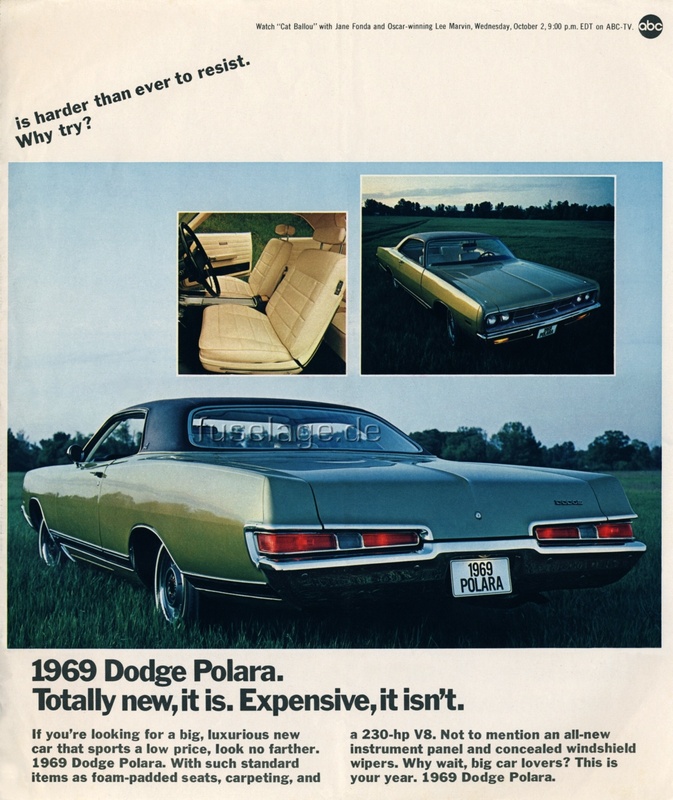 It promotes a 1969 Dodge Polara 500 two-door hardtop. 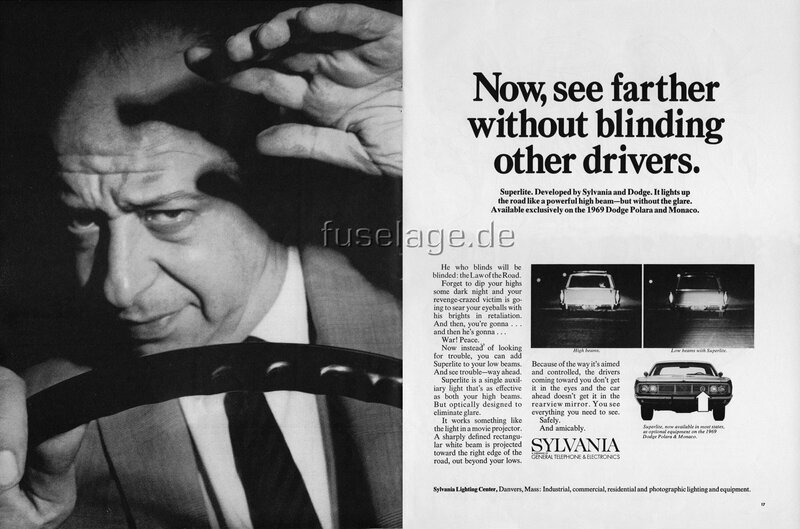 The copy text asks: "Why wait, big car lovers?" Good thing not too many did. 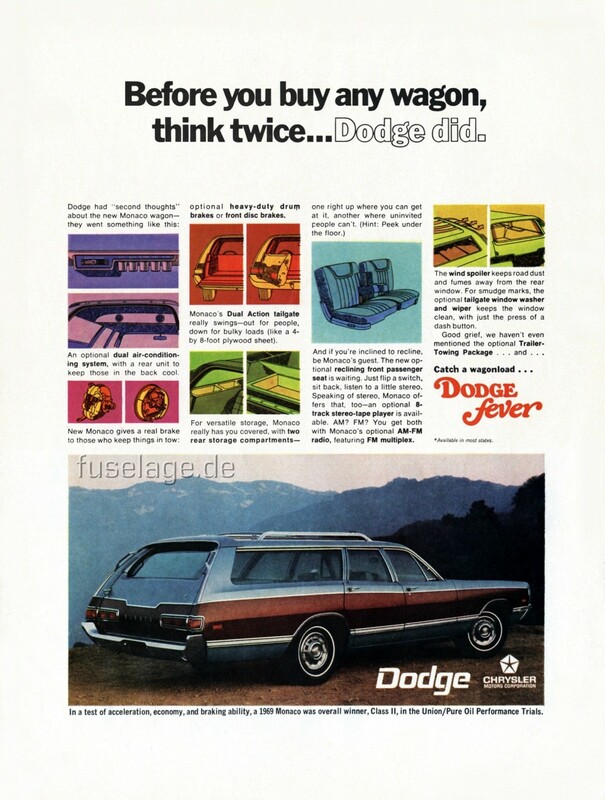 Advertising also took care of 1969 Dodge Monaco Station Wagon buyers, as this magazine ad proves. 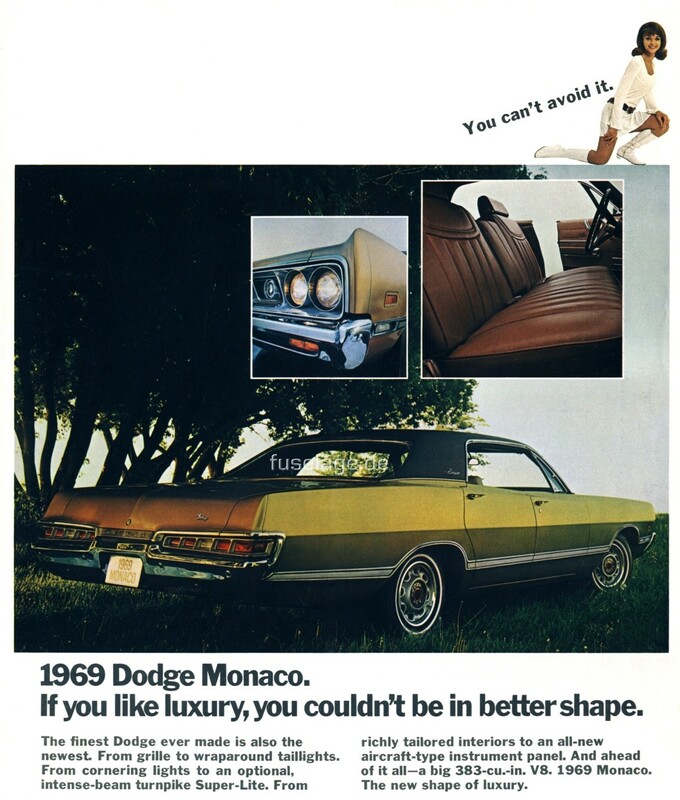 Here is a magazine ad for a 1969 Dodge Monaco four-door hardtop. 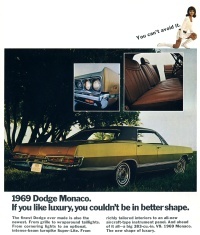 This page is taken from a special advertising section in a magazine and is a variation of the above ad promoting the 1969 Dodge Monaco four-door hardtop. 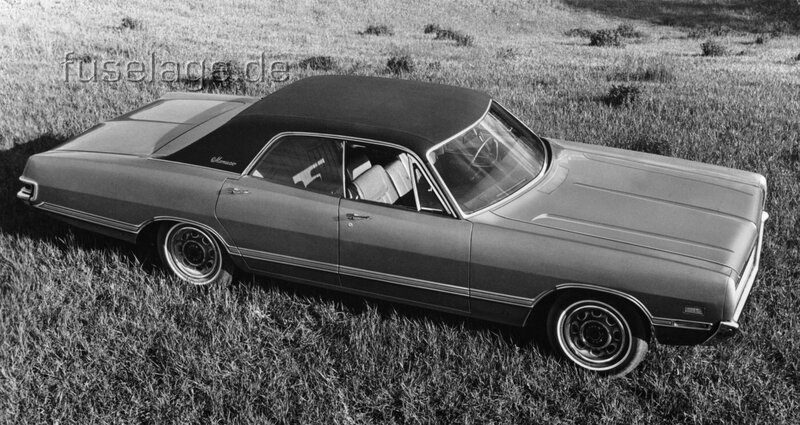 Press Photo of a 1969 Monaco four-door hardtop. 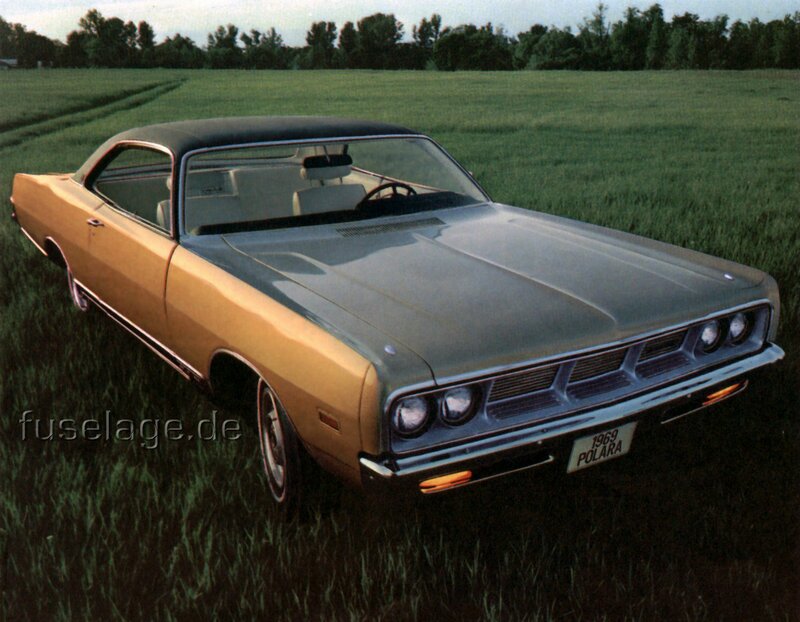 Another press photo of this 1969 Dodge Monaco four-door hardtop. 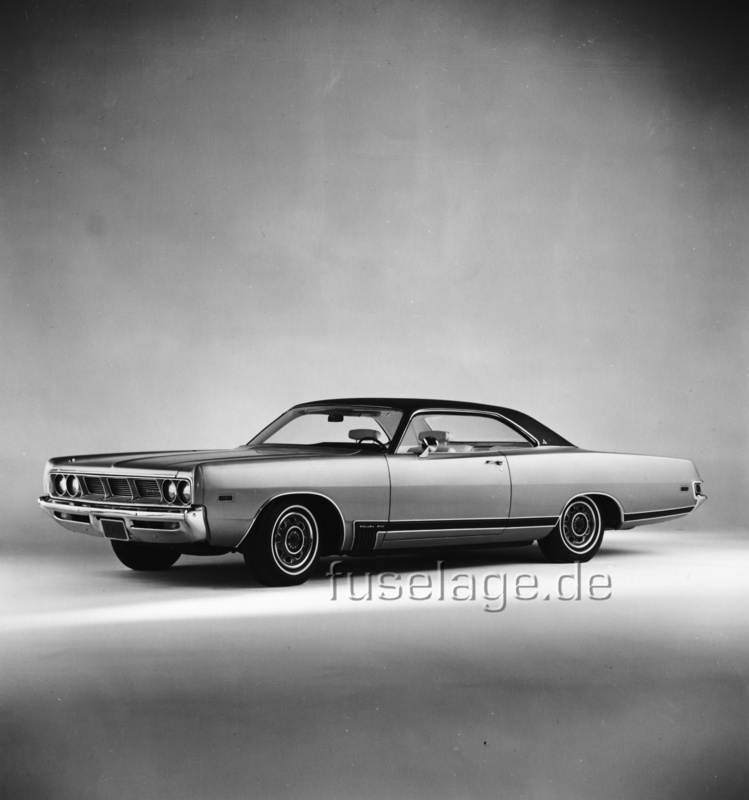 And another press photo of this 1969 Dodge Monaco four-door hardtop. Press Photo of a 1969 Dodge Polara 500 two-door hardtop. Yet another indoor shot of this 1969 Dodge Polara 500 two-door hardtop. 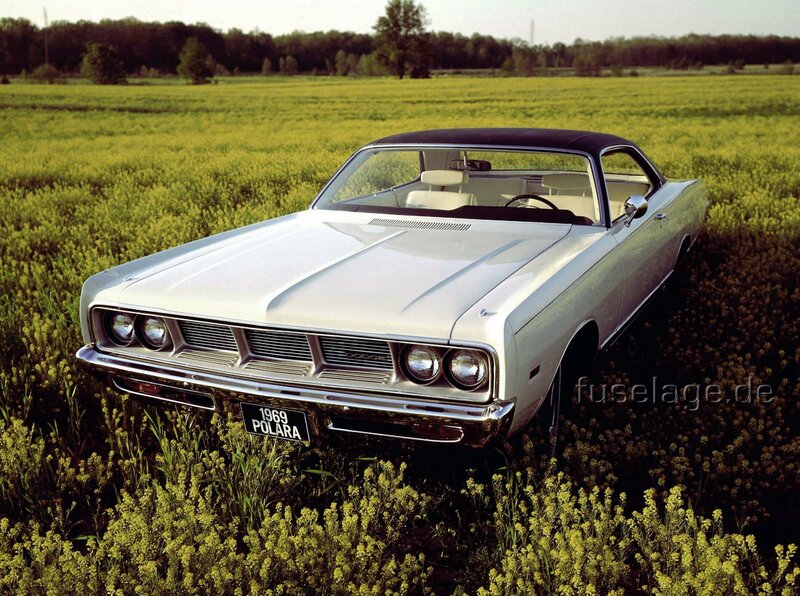 They finally let it out of the studio to take this shot of the 1969 Dodge Polara 500 two-door hardtop. 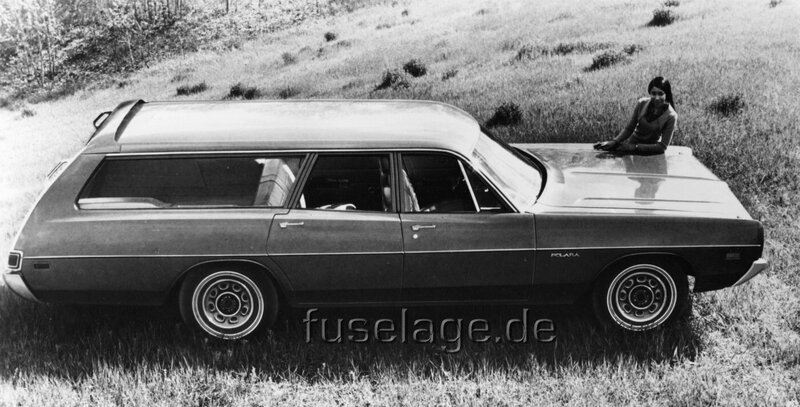 Nice press photo of a 1969 Dodge Polara station wagon. 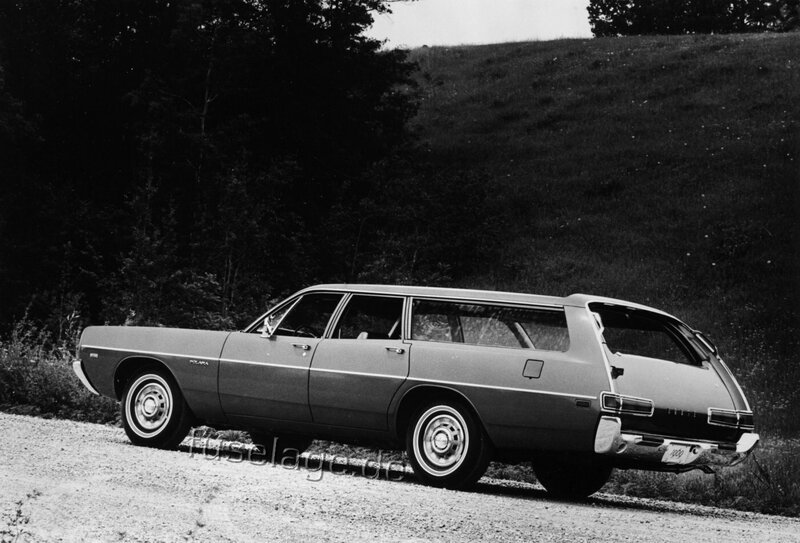 A shot of the rear of the same 1969 Dodge Polara station wagon. Polara advertisement showing a two-door hardtop is found on the back of an issue of the �Dodge News� Magazine. This Monaco advertisement shows a green Monaco two-door hardtop ans is also found on the back of an issue of the Dodge News Magazine. 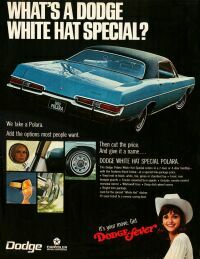 This Polara advertisement dates from the spring of 1969 and shows a four-door hardtop with new optional Gator-Grain vinyl roof and the new chrome grille surrounding. 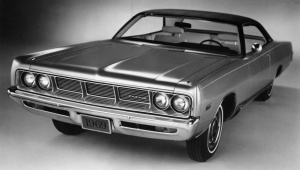 The latter came standard and was introduced to mock the oncoming "loop" style bumper for 1970. This photo shows a 1969 Dodge Polara four door hardtop. 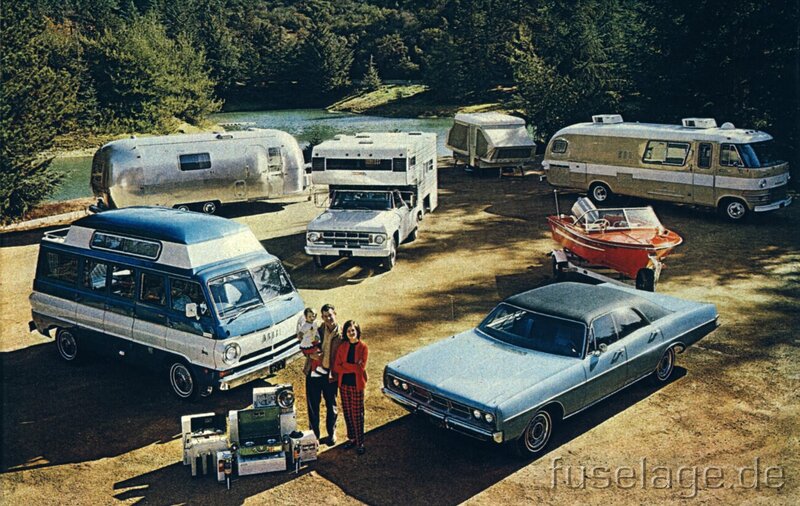 It appeared in a 1969 Dodge brochure advertising their camping and recreational vehicles with a testimonial from baseball star Mickey Lolich. 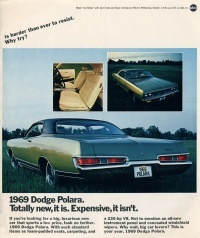 The Super Lite was a $ 50 option only available on the Polara and Monaco in 1969 and 1970. The single quartz-iodine light was far superior to convential contemporary incandescent lighting. 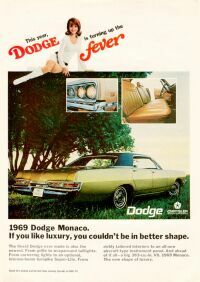 However, it wasn't too popular with Dodge buyers and law enforcement either, being illegal in some States. 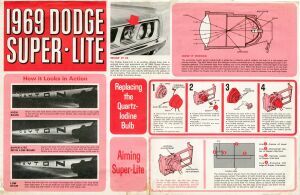 If you look at today's HID lamps, it's only fair to say Dodge was ahead of its time with this one. This ad refers to Sylvania being the manufacturer of the actual lamp of the Super Lite in the new 1969 Dodges.